SAVE OUR DATES FOR SPONSORSHIPS, EVENT and SERVICE PROJECTS! blocks for a good life for everyone: Education, Financial Stability, Health and Basic Needs. your business as a compassionate community leader and builder. of our donors' dollars. Instead, we are able to invest these funds into programs that help residents of Forsyth County. Join others in making an impact through a United Way of Forsyth County sponsorship. Our 2019 Sponsorship Brochure is here! 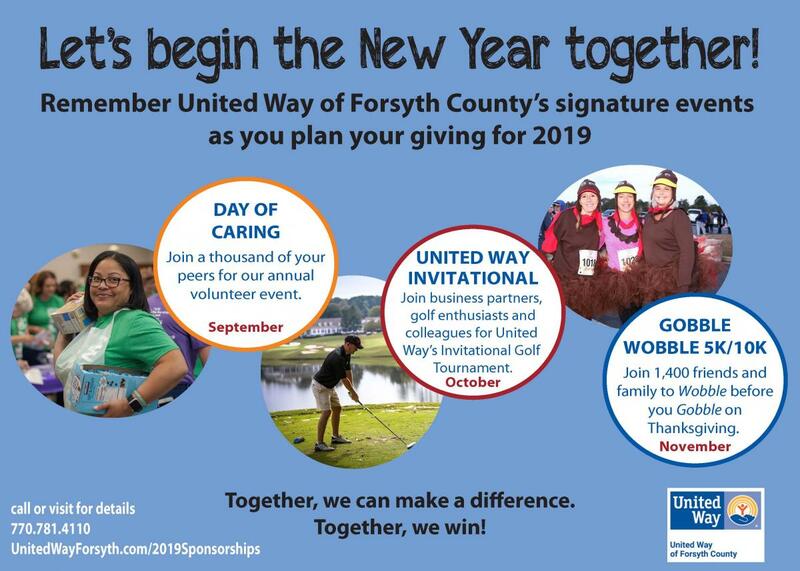 To find out how you can partner with United Way in 2019 contact Melissa Corliss at 770.781.4110. Live United by becoming a United Way of Forsyth County Corporate Sponsor today.